August | 2011 | Mediascope, Inc.
Last week’s blog, Paper Stocks for Printing, talked about some of the factors to consider when discussing paper stocks with your printer. I suspect, however, that many of you thought, “But I still don’t know what kind of paper to use,” after reading it. Hopefully this article will help. We’ll discuss common types of printing jobs and papers frequently used for these jobs. Keep in mind, however, that paper choices are to a large degree a matter of preference. You may have a specific look or feel that you want for a job and, if so, these suggestions may not be good choices for you. We talked about various grades of stock last week. Letterhead and letters are usually printed on a grade called bond (also called writing). These papers come in a variety of colors, weights, and finishes. The most common weight for letterhead is 24#, but bond also frequently comes in 20# (typical copy paper), and 28#. Business cards are usually printed on a cover stock in order to provide the thickness and rigidity necessary for repeated handling. Color choices are many, and 80# or 100# cover weight stocks are good choices for business cards. In order to meet postal regulations, postcards must be a caliper of at least 7 pt. thick. Most stocks of that thickness will fall into the cover grade. Postcards are printed in a variety of sizes and color configurations. The color configuration will most likely determine the type of paper used. If the postcard is to be printed in color on both sides of the sheet, you may want to look at a sheet which is coated on both sides such as an 80# coated cover. If the postcard has color printing on one side, and black printing on the other side, a more economical option may be a Coated 1 Side (C1s) option such as 8 pt. C1s or 10 pt. C1s. Most brochures are printed in 4-color process and are designed to be eye-catching. For this reason, coated stocks work great for brochures. Images and photographs print sharper and more colorfully on coated stocks than on other kinds of stocks. Common weights of stock for brochures are 70#, 80# and, occasionally, 100# text. It’s important to keep grain in mind as most brochures fold, so ask your printer to figure the paper so that the folds are with the grain and not against it. Highly calendared offset stocks such as Hammermill and other digitally-based types of stock also work well for brochures. Books and Booklets can be broken down into cover and body stocks. Once again, color configuration is the biggest factor in deciding on paper stocks for these projects. For covers printed in color, cover stocks are usually either coated one side or coated both sides depending on whether the color is only on the outside of the cover or if it is on both the outside and the inside. Weights for cover stocks are usually in the 80# or 100# range. Simpler covers containing text or black and white images are often printed on a colored cover stock in order to make the cover more appealing. The body of the book is usually printed on either offset or coated text weight stocks. While coated stocks are great for images and color, the paper is usually heavier and the sheen may make reading a lot of text less desirable. Books for reading are usually printed on offset stock. Grain is also an important consideration when choosing stocks for books and booklets. Both the cover and the body should be printed on paper with a grain which runs parallel to the binding edge. This not only creates a more durable binding but makes for a nicer looking piece. Hopefully this helps narrow down the choices a little when you consider which papers to use. Even with these suggestions, there are still a lot of brands, colors and finishes to choose from. 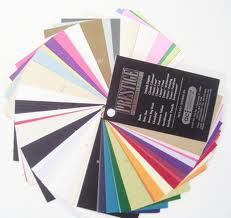 All printers have swatch books so don’t hesitate to ask to see samples of a variety of selections. It’s important to let your printer know your primary considerations, however, such as grain, budget,and suitableness for mailing so that they can point you to the right stocks for the piece. 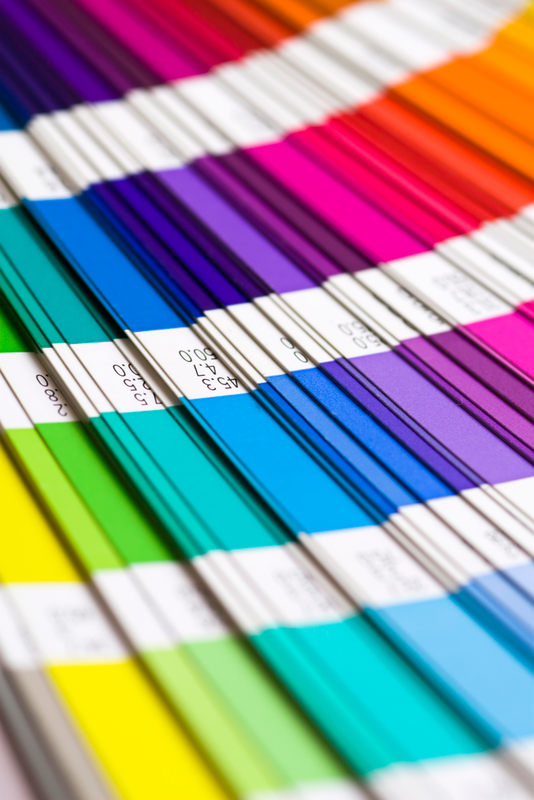 When you take a printing job to a commercial printer, chances are your printer will ask you questions about the type of paper you want for your project. With thousands of available papers to choose from, how do you even know where to begin? Here are a few important things to keep in mind to ensure that you and your printer choose the correct paper for the job. Although there are many grades of paper, most printing jobs are best suited for a paper which falls into one of five basic categories, called grades: bond, text, offset or uncoated book, coated book, and cover. Each grade has its own original purpose, appearance, and end use, as suggested by the its name. For example, bond papers were originally used to print bond and stock certificates; today the term refers to paper used for letterhead, photocopying, and business forms. Text papers are known for their interesting textures and attractive colors. They are frequently used for announcements, booklets, and brochures. Book papers are used for trade and textbooks as well as general printing. They are less expensive than text papers and are found in regular or smooth finishes. Books papers have a wider range of weights and bulk than text papers. Coated papers are used when high printing quality is desired because the surface is smoother and allows the ink to sit on the surface rather than soaking into the paper. Cover papers complement coated and text papers but appear in heavier weights. The basis weight of paper is the weight in pounds of 500 sheets of paper cut to the basic size for its grade. The basic size for bond paper is 17″ x 22″; text, offset and coated papers is 25″ x 38″; and the basic size for cover stock is 20″ x 26″. Five hundred sheets of a lighter weight 17″ x 22″ bond weighs 20 pounds; hence the name 20# bond. Each paper grade has a range of basis weights such as 16# – 32# for bond. Caliper measures the thickness of paper. It is measured in thousandths of an inch and is referred to as point size. The caliper of paper is not related to basis weight as the thickness of the paper often times has no bearing on the weight of the paper. Opacity refers to how much or little can be seen through one sheet to the next. Opaque papers are usually a higher quality offset stock and are more expensive than a commodity offset. Opacity is an important consideration when printing books or other multi-sheet pieces. Let your printer know if you are concerned about show-through. Brightness is rated on a scale according to the percentage of a blue light wavelength reflected. Most papers reflect 60 – 90% of light and the closer the number is to 100, the brighter the paper. Brighter papers make colors appear more vibrant. Colored papers are created by added pigment to the pulp during the manufacturing process. Keep in mind that ink colors will often appear different on various colors of paper. The surface of the paper (finish) will greatly affect the look of the printed piece as the finish determines how the ink lies on the surface of the paper. During the manufacturing process of paper making, the paper surface can be changed by calendaring, a process where paper is pressed between two rollers. The more calendaring the paper undergoes, the smoother the surface. Textures can be added to the paper surface during the manufacturing process as well and result in finishes such as Laid and Linen. The surface of paper can also be affected by sizing and coatings. Sizing is a solution added to paper during the manufacturing process to make it less absorbent. This helps the ink remain on the paper’s surface rather than soaking in. Coating the surface of the paper provides a smoother surface for the ink to sit on. Depending on the amount of light reflected, the coating will be called gloss, matte, or dull. Paper fibers lie in a single direction called grain. Grain direction affects paper strength and flexibility and is an important consideration in folding and binding. Folding along the grain creates a cleaner fold, and binding books with cover and text grain running parallel with the spine makes for a stronger and more visually appearing book. Ask your printer to keep grain in mind when selecting a paper. These are a few of the items to keep in mind when discussing paper stocks with your printer. Come back next week for suggestions on grades and weights of papers for various types of printing projects. Choosing the right printer is crucial to any print and mailing campaign, and selecting the proper service can be confusing. First and foremost, neither method is inherently better than the other. Offset printing and Digital printing excel at different things, and the primary differentiation between the two is capability to effectively handle print volume. Offset printing was invented in 1875, and got its name because ink is offset (transferred) from metal rollers onto a rubber roller, which then prints it onto the paper. Because all the printing is performed by a series of rollers, offset printing is capable of printing large amounts very quickly. In order to print faster, you just have to spin the rollers faster. This makes offset printing a very good fit for completing large run printing jobs quickly and cheaply. The drawback to offset printing is that in order to make any changes to the printed pieces, physical parts of the printer have to be manually changed, and the mixture of ink and water must be balanced. This can be a time-consuming process and usually creates wasted pieces while balancing, which make offset printing a less economical option for small run printing. For example, when creating a run of 100 pieces on an offset press, the first 15-30 may be ruined as the equipment is being calibrated. 15-30 pieces ruined out of 100 affects the per-unit cost significantly, however 15-30 pieces is a negligible loss when creating a run of 500,000. Offset presses were originally developed to quickly copy artwork, and offer exceptional image quality. While digital presses have made great strides in recent years, the offset press still offers slightly better clarity. Finally, offset printing offers the ability to handle a larger selection of specialty papers. Click here to see a video of an offset press in action. Digital printing uses techniques such as ink jet and laser printing, which do not require manual setup prior to running. This makes digital printing ideal for small to medium-sized runs, in which a setup cost could significantly affect the cost per piece. Digital printing usually offers shorter turnaround times, as well as more accurate prints (especially proofs, because a proof is simply a single printed piece) because the ink doesn’t have to be balanced during runs. Another advantage of digital printing is the ability to print on demand. Since digital printing is quick, and a single piece has the same price per unit as a small run, pieces can be printed only when they are needed. This eliminates waste and lowers storage costs at the same time. The greatest advantage offered by digital printing is that of variable data. With digital printing, the layout can be changed on the fly so each piece can be unique and personalized. This added personalization has been shown to increase response rates for direct mail and other types of advertising. The most important factor in choosing between digital and offset printing is run size. If your job is a few thousand prints or less, digital is an excellent choice. However, if you need tens or hundreds of thousands of prints, offset is the better choice.